Real-Time Court Reporting and live streaming options available at Lake Cook Reporting. Use realtime reporting to stream a live transcript to a computer or tablet. Lake Cook Reporting utilizes several expert court reporters capable of streaming the transcript live to the clients in real-time. Our reporters can stream medical and technical transcripts with high accuracy to your personal computer, or rent an iPad from us to view and annotate the transcript live. Schedule realtime court reporters for your next case. We Listen To You. Real-Time Reporting Options for a Variety of Applications. Our realtime court reporters are some of the best in Chicago. Lake-Cook Reporting employs a number of reporters capable and certified to conduct realtime reporting jobs. 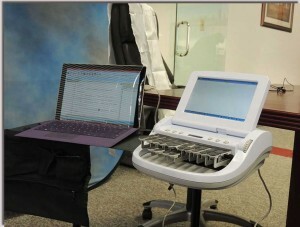 This allows clients to view the transcript as the court reporter types it on a number of devices. Using Stenograph CaseView, our reporters can stream to any number of software clients, including CaseViewNet, ICVNet, RealLegal LiveNote Stream, and more. This allows clients to view transcripts on computers, tablets such as iPads, and more. Real-time streaming for depositions and trial. View witness testimony live as the court reporter transcribes it. Make annotations to follow-up on a particular question/answer or for post-deposition review. Send an email with a rough draft ASCII of the transcript plus your annotations after the deposition. Keep track of witness answers at trial and mark/annotate for later use. If an answer changes, refer back on your device to point out discrepancies. Rent real-time equipment or use your own. 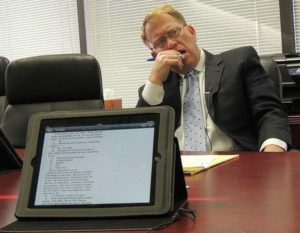 At Lake Cook Reporting, we’ve pre-configured several laptops and iPads to work with realtime. We’ll help set up your personal device, or rent one from us. All devices at Lake Cook Reporting contain CaseViewNet/ICVNet and LiveNote software. Remote realtime transcript and video streaming available. Can’t attend the deposition in-person? We’ll live stream transcript and video to you. With our cutting-edge technology options, we can configure live-streaming of a deposition’s transcript and video (if clients elect to record a legal video deposition) anywhere in the world. 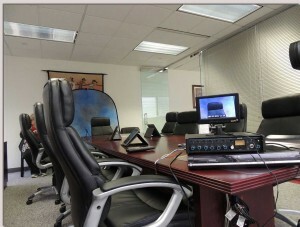 Pair with video conferencing and remotely attend the deposition and view the real-time transcript. Our streaming solutions are available for any number of realtime streaming platforms. Do you prefer to use LiveNote and want to stream a transcript to it? No problem.